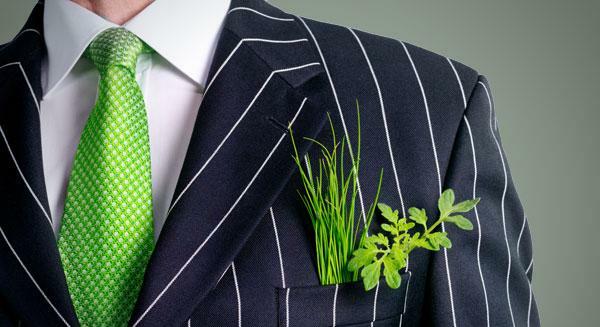 Being environmentally friendly is an absolute must, especially at a time when energy costs are soaring. Fortunately, some businesses have managed to stay ahead of the curve, prioritising energy-saving measures and investment in green technology. Whether they’re new to the idea of being greener or have done so for decades, some industry-leading firms provide inspiration to all. Vodafone’s Power Pocket charges your mobile phone using body heat! 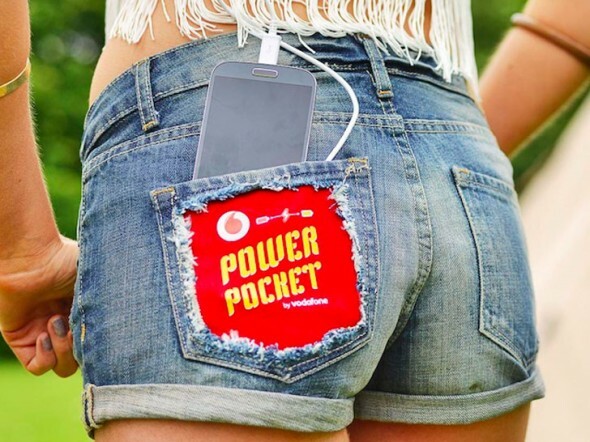 The festival season is just around the corner and keeping your mobile phone juiced up this time around will be a lot easier, thanks to Vodafone’s Power Pocket, a concept that draws on the heat energy released by the body, turning it all into electricity that charges up mobile phones! The Power Pocket concept is currently available in the form of prototype hot shorts and sleeping bags. This gear enables you to generate energy as you walk, jump, party and sleep, using all of this to charge up your mobile device! 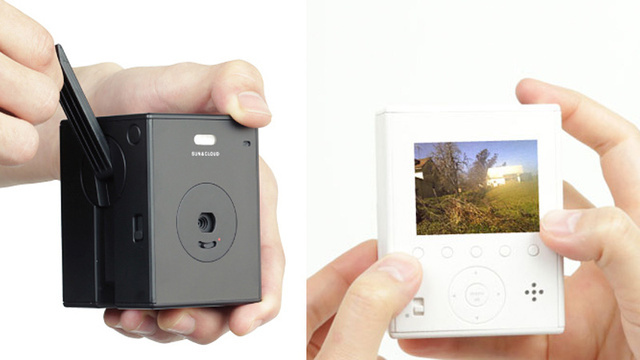 Solar-powered Sun & Cloud digital camera also powers up with a hand-crank! While most shutterbugs settle on batteries to power up their cameras, Superheadz Japan has come up with an environment-friendly way of taking pictures! Called the Sun & Cloud camera, this one uses renewable energy to power up and is an eco-conscious shutterbug’s dream come true. Inspired by retro photography and given a dash of the digital world, the Sun & Cloud camera uses solar panels on its top that self-generate energy to power up this beautiful device. And that’s not all. If the sun does decide to hide behind those fluffy clouds, this camera can also be charged up with a hand-crank. Capable of taking both pictures and videos digitally, the Sun & Cloud also hooks on to USB ports to juice up and for data transfer. Perfect for that H2O strapped country, Australia, the Oxijet, developed by their New Zealand neighbours, is now available for purchase down under. 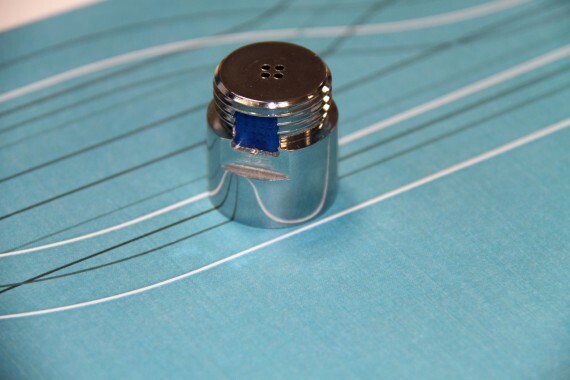 Brainchild of kiwi owned Felton and the Australian Commonwealth Scientific and Industrial Research Organisation (CSIRO), Oxijet is an air shower that works by injecting air bubbles into water droplets as they make their way out of the shower head. While it still feels like a full pressure shower, it only uses half the amount of water. Oxijet can be fitted to pretty much any standard shower fitting, but at present is only available in Australia. Energy-efficient NanoLight LED light bulbs outshine 100 W incandescent bulbs! 100 W incandescent bulbs have always been energy vampires, sucking out energy and lengthening electricity bills. Researchers at the University of Toronto recently came up with a fantastic solution to replace these bulbs and fill in the 75 to 100-watt range. 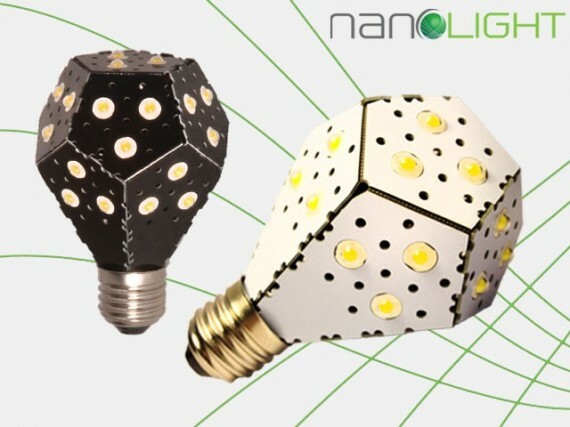 Called the NanoLight LED light bulbs, these were designed by Gimmy Chu, Tom Rodinger and Christian Yan. These 12 W LED bulbs provide the equivalent of 100 W classic bulbs with 1600 lumens. If you’ve been looking for a fantastic way to blast out those beats in a clean and green manner, here’s one you’re bound to find interesting, the Rugged Rukus! 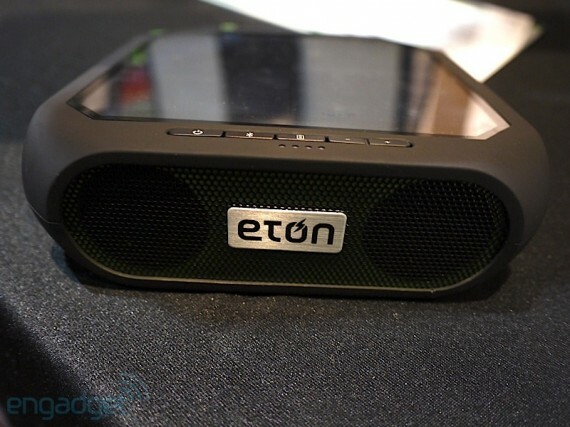 Designed by Eton and unveiled at CES 2013, the Rukus is a solar-powered Bluetooth boombox that can be carried to the outdoors. The Rukus sports an IPX-4 shell that makes it shockproof and water proof. While the Rugged Rukus is a smaller entertainment solution for the outdoors, the Rukus XL sports a 72-square-inch solar panel. 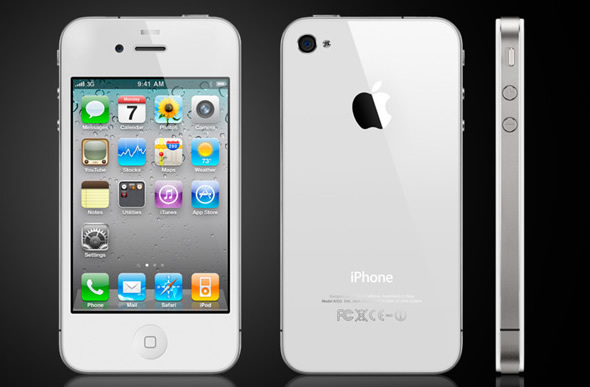 The freedom a handset like the iPhone 4S gives you is extraordinary. With GPS you can navigate your way anywhere, and with features like Face Time and social networking apps, you can stay connected and run your life on the move. Soon, giving your phone a quick charge on the go could get a lot easier than it is today. No longer will we need to carry phone-chargers and spare batteries to keep our phones juiced up. 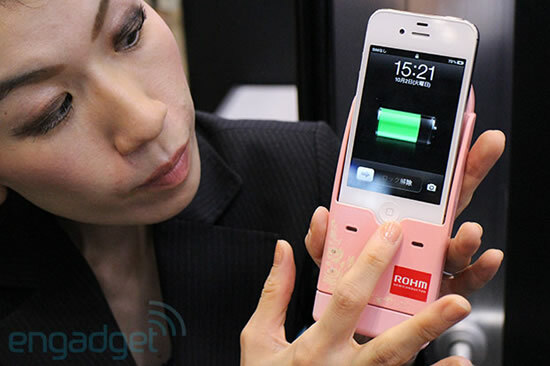 Developed by Rohm, these disposable fuel-cell chargers are easy to use and seem like a practical concept. With only hydrogen as a byproduct, these disposable chargers power up with the reaction of a metal material and water. Providing each handset about 5W with a single charge, these juice-packs are good enough to keep your phone switched on until you can finally spot a more-permanent charging solution. See-through solar panels have been a long standing dream of many, and Sharp has just given the world its first taste of the revolutionary technology. 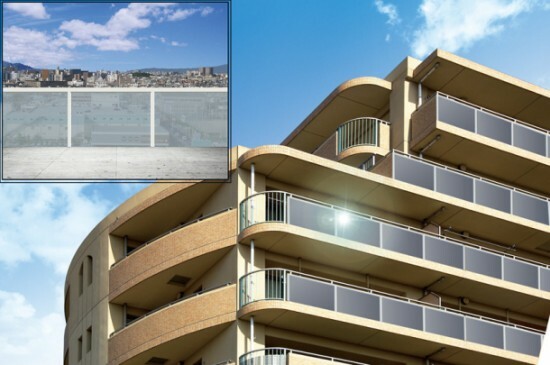 Designed specifically for use as balcony railings and skyscraper windows, these solar panels have a semi-transparent black finish with a solar power conversion efficiency of about 6.8%. These panels pack a maximum output of 95 watts and measure in at 4.5-feet wide by 3.2-feet tall. Now the efficiency of these panels might not match up to those conventionally used, but replacing windows with these is bound to turn just about any building greener! Also, Sharp has not revealed the pricing details and we hope as technology progresses, these transparent panels will turn a little more efficient! Solar energy is one of the most promising sources of energy in a world quickly realizing the dangers of depleting fossil-fuel reserves. The Nissha Printing Co Ltd has just pulled the veil off a one-of-a-kind solar-powered lighting solution that could soon find itself embedded in pavements just about everywhere. 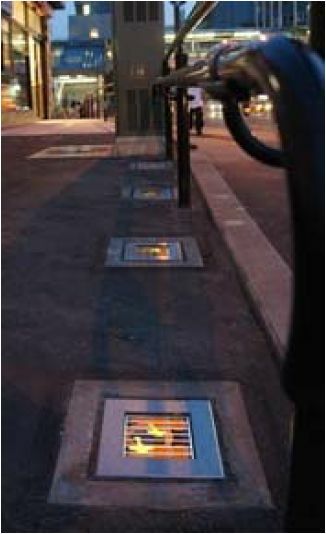 Using dye-sensitized solar cells (DSSCs), the Akarie light stores solar energy during the daytime to light up at night. The apparatus has been put to use by the Ohsho Food Service Corp in Japan and has been embedded in pavements in Yokohama, Kanagawa Prefecture. Measuring 200 x 200 x 85mm and weighing in at 3.7kg each with a rechargeable battery and LED lights, the Akarie is priced at ¥200,000 (about $2,576) and takes just two hours to juice up, staying lit for nearly 15 hours!